A committee of MPs voiced concerns that consumers are “locked into” an expensive deal lasting 35 years, questioning why the Government did not revisit the terms between the original go ahead in 2013 and now. The average annual household electricity bill will increase by an estimated £10 to £15 to support the new power station up to 2030, which could disproportionately impact on the poorest households, said the committee. The value for money case for supporting Hinkley weakened after the Government agreed provisional terms in 2013, with the Business Department forecasting that consumers will now pay £30 billion in top-up payments over the contract’s 35 years, five times more than the £6 billion expected four years ago, said the report. Labour MP Meg Hillier, who chairs the committee, said: “Bill-payers have been dealt a bad hand by the Government in its approach to this project. “Its blinkered determination to agree the Hinkley deal, regardless of changing circumstances, means that for years to come energy consumers will face costs running to many times the original estimate. “The Government made some grave strategic errors here and must now explain what it will do to ensure these are not repeated. 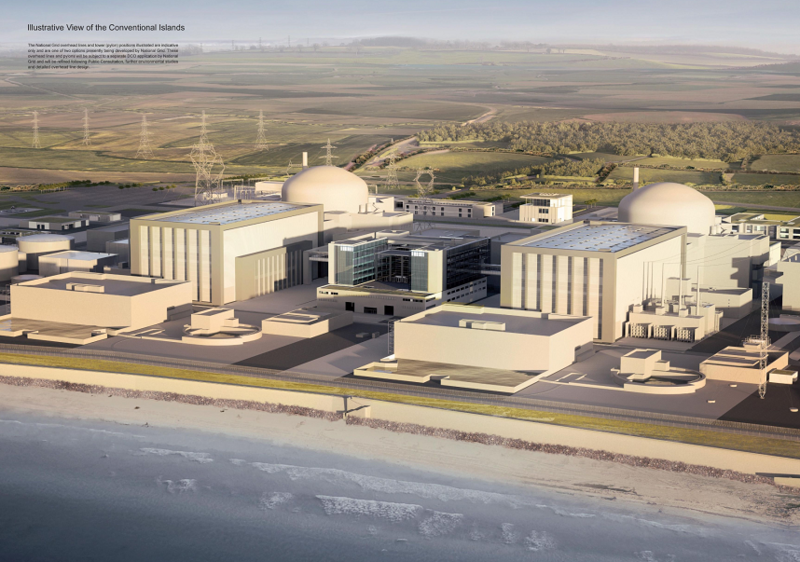 “But more than that, it must deliver the supposed wider benefits of this project – benefits Government has talked up progressively as the case for Hinkley Point C has weakened, but which it has no plan to secure. The committee urged the Government to firm up its “vague promises” of the wider benefits to UK firms and workers of the Hinkley project, adding that with Brexit looming, there is no certainty of attracting skilled workers from overseas. “The other projects using the same reactor technology as Hinkley Point C – in France, Finland and China – have seen significant cost and schedule overruns. “Brexit could also have implications for the project due to withdrawal from Euratom, the pan-European atomic energy regulator, and the risk of people with nuclear engineering and science skills moving abroad,” said the report. EDF Energy said in a statement: “The cost of Hinkley Point C for customers has not changed and they will pay nothing for its reliable, low carbon electricity until the station is completed. “EDF and its co-investor CGN take the risk of increased costs during construction. “The agreed price is lower than 80% of other low carbon capacity contracted so far and the project has restarted UK nuclear construction after a quarter century. “Construction is fully under way and is already delivering a huge benefit to British jobs, skills and industrial strategy. “It is drawing on firms from across Britain and the South West with 2,400 employees at the site and is on track to meet its next milestones. “Hinkley Point C makes it possible for future nuclear new build projects to be significantly cheaper for customers. Greenpeace UK head of energy Hannah Martin said: “Hinkley looked like a dodgy deal over a year ago, but now that offshore wind is so much cheaper than new nuclear, this project makes absolutely no financial sense. “It’s time for the Government to see sense and re-think this uneconomic and unnecessary project.